1. In a large pot, boil the chicken with the onion, celery, and bay leaves until done. Let chicken cool until you can handle it, then shred chicken meat. 3. In a saucepan over medium heat, melt the butter. Stir in the flour and cook for about 1 minute. Slowly stir in the cold milk and chicken bouillon cubes (stir around to make sure they dissolve). Stir in the cheese until it is melted in and mixed well. Then add the chicken broth. 4. 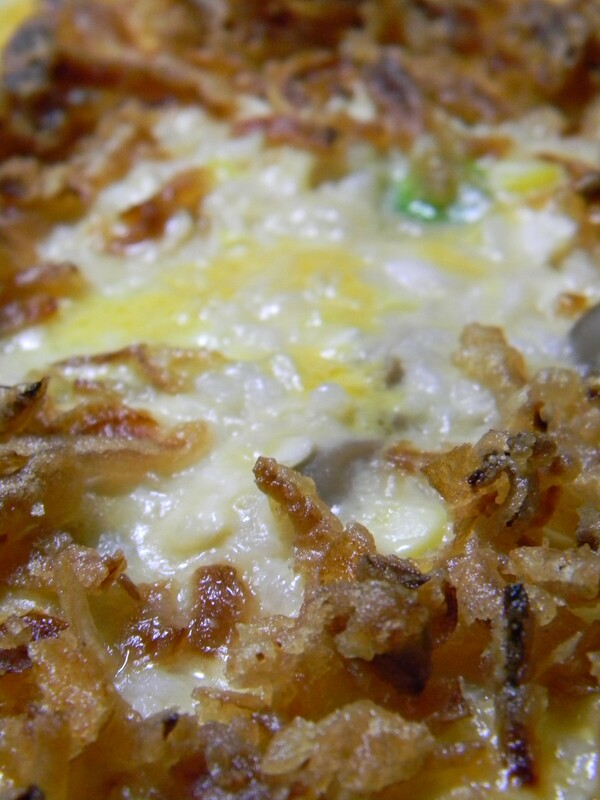 In a large 1.5 quart casserole dish, combine the chicken, rice, mushrooms, zucchini, onion, and corn. Stir in the cheese sauce. Here you may also add salt and pepper to taste, but I found the seasoning to be fine without. 5. 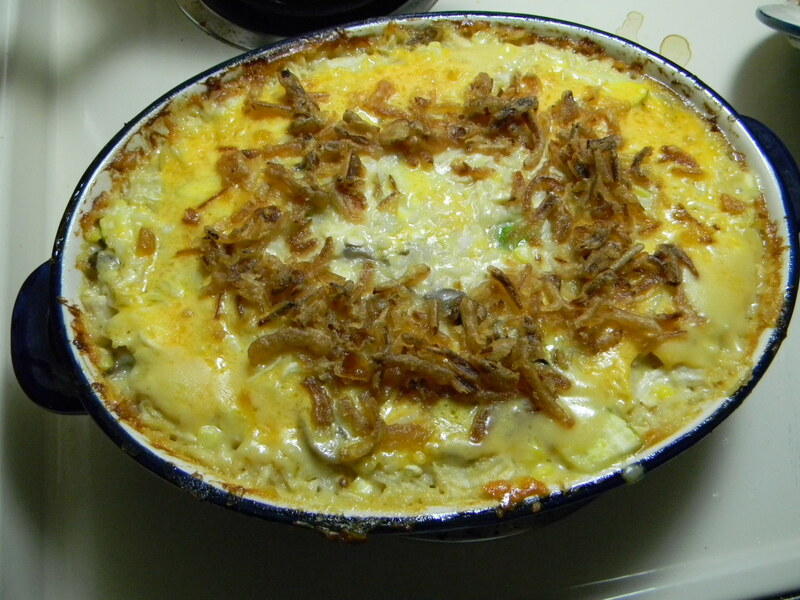 Optional topping: Smooth top of casserole out and sprinkle extra shredded cheddar around the outside edge, then sprinkle fried onion chips on inside- The cheese and onions will add a nice top coat with extra flavor to the casserole when it’s finished. 6. Bake at 375 degrees F (190 C) for about 35 minutes or until bubbly. If you try it, tell me what you think of it or how you altered it. Have a blessed day!